Welcome to the Kele Research Group's homepage! 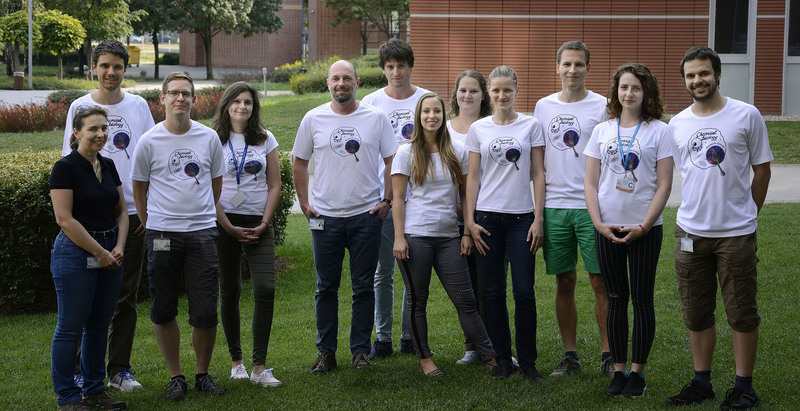 Our group is part of the Institute of Organic Chemistry at the Hungarian Academy of Sciences, Research Centre for Natural Sciences, Budapest, Hungary. The main field of interests is chemical biology involving design and synthesis of fluorescent / bioluminescent probes, development of bioorthogonal reagents and genetic incorporation of non-canonical amino acids. We are part of the COST EpiChemBio Action! Orsi won 2nd prize of the Publication Award of the Lajos Kisfaludy Foundation. Congratulations Orsi! All of our MSc students have successfully defended their thesis. Congratulations Ádám, Zoli & Zsófi! All of our BSc students have successfully defended their thesis. Congratulations Edit, Réka & Zsuzsi! Designed by G. Cserép, based on David Kohout's temaplate.